Guided By Voices have cancelled their shows at Primavera Festival, Barcelona, and ATP/I'll Be Your Mirror in London next summer due to personal reasons, and apologise for any inconvenience/disappointment caused. However, contrary to any suspicions about the band's recently reformed classic line-up splitting, the band have stressed that this does not mean they have split up. Instead, they have announced that they're working on another album, in addition to their upcoming Let's Go Eat The Factory which is due for release early next year. The other new album is titled Class Clown Spots A UFO, and GBV's Robert Pollard is also due to release a solo album Mouseman Cloud in March next year. ATP have announced that a reuinted Afghan Whigs are set to replace Guided By Voices at the top of the I'll Be Your Mirror bill. 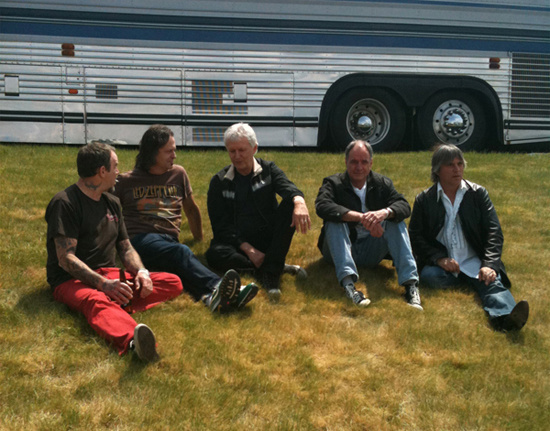 We recently ran an extensive and in-depth guide to the Guided By Voices discography - for a guide through their back catalogue, click here.